Immersive design consortium 5D | Institute will kick off their world-building design discussion series in Los Angeles on March 13-15 with 5D | FLUX presented in association with Autodesk and USC School of Cinematic Arts. 5D | FLUX will consist of three, 120-minute interactive sessions spanning three evenings aimed at encouraging in-depth conversations about world-building across disciplines. Each session will be held 7-10 pm at the Ray Stark Family Theater at the USC School of Cinematic Arts. Tickets are available for purchase here. Sessions are $25 each or $60 for a three-day pass. World-building refers to the iterative design process that creates and actualizes the story space across media, be that game, film, animation, theater or architecture. This process of developing a dimensional, fictional world created for that story to take place occurs before a specific narrative is locked down. Tuesdayʼs “Inception” session will cover imaging and developing of worlds; Wednesdayʼs “Prototyping” session will discuss testing the story space and visualizing the world; and Thursdayʼs “Manufacturing and Finishing” session will center on building and experiencing the world. All content that is interactively controlled and rendered in real-time will be considered. Submissions must be able to be demonstrated in front of a live audience. The Real-Time Live! submission deadline is 9 April 2012. All real-time work will be reviewed by a professional jury of industry experts from traditional computer graphics, video games, and research organizations. Entries will be judged on creativity, innovation, performance, and most importantly, the ability to render in real time in front of a live audience as part of the Computer Animation Festival. The top selections will be played and demonstrated live on a PC or game console. View detailed information on how to submit Real-Time Live! content. Highlights from SIGGRAPH 2011 Real-Time Live! 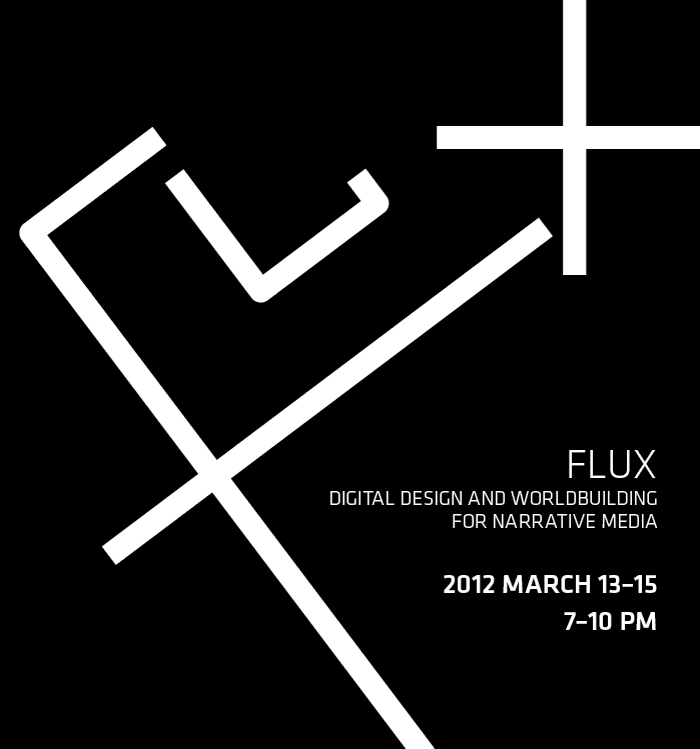 FLUX: Digital Design and Worldbuilding for Narrative Media is a three-part exploration into design as the backbone of digital narrative media, addressing the changing role of the designer in storytelling through world building practices. Presented by The 5D | Institute, the USC School of Cinematic Arts, and Autodesk, the Summit — curated by Alex McDowell (Creative Director, 5D | Institute) and Peggy Weil (USC SCA Interactive Media Division) — will be held March 13–15 at USC’s Ray Stark Family Theatre in Los Angeles, and will include panel discussions, audience participation, and networking receptions. The evenings will be divided into Inception (imagining and developing the world): “World Building for Independent Cinema: Upside Down” with McDowell and moderator Peggy Weil (digital media designer); Prototyping (testing the story space and visualizing the world): “Building Worlds in Animation: How to Train Your Dragon” with production designers Kathy Altieri and Patrick Henenberger and moderated by Oscar-winning VFX supervisor and USC SCA faculty member Mike Fink; and Manufacturing and Finishing (building and experiencing the world): “Design for Virtual Production: Real Steel” with art directors Andrew Jones and Jeff Wisniewski and moderated by media scholar and provost professor at USC, Henry Jenkins. With this first in a series of Worldbuilding Summits, the 5D | Institute and the USC School of Cinematic Arts will use their unique access to frame an investigation into the language and practices of digital design methodologies, applying learning from thought leaders in core media industries to an interdisciplinary discussion space within and across media. Can you talk about working in 3-D? This is not the first 3-D film to win, but it’s unusual to get recognized with 3-D.
Bob Richardson: You’re right. I think the odds of winning are extraordinarily small. I was the crystal ball didn’t work this way. I know it worked that way for Mark Wahlberg, but for me, I didn’t see it. Where do we go now, dramatically, with 3-D now that you’ve paved the way? This was a marriage of visual effects and 3-D. Talk about that marriage. Rob Legato: What we are trying to do with the 3-D of the movie itself is to basically extend the art form of cinema by using the depth that you get and every shot was designed to take advantage of the depth that we would enhance the model of the story. So, every shot was literally made to be in 3-D and designed to give you some depth or emotional response from it. Ben Grossmann: And there’s a lot of science behind it, but we try to take the science and distill it down to something that is so simple that it doesn’t interfere with your instinctive creativity, so you can hear Marty or Dante or Bob, and say what they feel the shot should emote. 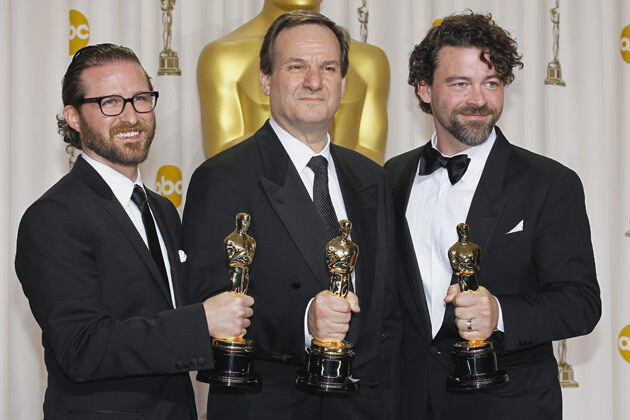 What does this win mean about the state of visual effects and the appreciation of visual effects at least by the Academy? RL: There’s a perfect blend and ours does not stick out but assists that and becomes part of the art form that the Academy sort of growing up with the visual effects world, and saying, we are now going to also appreciate the art of what you tried to achieve, what’s literally on screen. 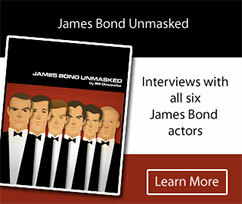 Talk about the unorthodox approach of putting all the actors in one room. Gore Verbinski: I don’t know any other way to direct actors. I want them to act and react. I suppose it I think it made it feel like it was occurring and we encouraged line overlaps and we encouraged people to be out of breath. So we really were kind of paranoid of the computer making things clinical, and it so lends itself to perfection. So suddenly you had the feeling I guess in the soundtrack that there was a tortoise talking to a lizard, because Johnny was talking to Ned Beatty and they were actually playing the scene together. So I think there’s there’s something in there. There’s some sort of DNA underneath it all. But ultimately it was just a fear of having somebody sit with a bit of text in front of a microphone. I mean, I haven’t done that since I was selling sugar water, Budweiser, you know, or whatever, doing commercials, but that’s so distant from getting a performance. What is the take away now that you’re back to live action? On the eve of Sunday’s Oscar ceremony, I look at the interesting retro connections between many of the contenders in my TOH column at Indiewire. William Joyce (The Fantastic Flying Books of Mr. Morris Lessmore) rejoices at the hand-made greatness of Hugo and The Artist, while Grant Orchard (A Morning Stroll) ties in the lost art of urban myths. 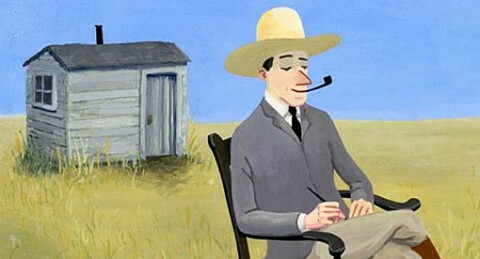 As we await Sunday’s 84th Academy Awards, I chatted with Wild Life directors Amanda Forbis and Wendy Tilby about their inspired animated short from the NFB about the Canadian frontier in the early 20th century. It’s told with a wry mockumentary style utilizing gouache on paper to achieve a rough, painterly look. What was the origin of Wild Life? Wendy Tilby: Amanda had an idea many years ago of telling a story about remittance men (young British gentlemen who were told to do something in the colonies rather than hang around home), but she wasn’t necessarily thinking about animation, and when we were trying to come up with a story to do after When the Day Breaks. We were thinking of something a little more documentary and it merged into Wild Life. Amanda Forbis: It kind of comes from the place we’re both from, which is Alberta — the Canadian prairie — and the fact that we both have English relatives who came over around that time and who suffered under similar circumstances. The point was that all the breeding in the world can’t help you in those circumstances. And this theme is more applicable than ever. WT: I was just about to say that we’re hoping that the theme can be broadened to empires in general and the hubris that goes without that. AF: For me, as an animator, I think I have a very tenuous grasp on well being. The rug can be pulled out at any moment. Animation is what I know and what would I do without animation? It’s a wonderful journey and I especially liked the comet metaphor (not being a part of the whole and crashing). WT: Thank you. That was a slightly contentious issue at the end with people looking at the film just before it was finished, who were puzzled by it and thought the descriptive text might be a distraction. But we were reluctant to take it out. It was part of the story from the very beginning and added a dimension. AF: I think helps in terms of visualizing the emptiness and loneliness. WT: It’s his version of a religious experience at the end. How did the animation go? WT: That was kind of agonizing actually. We had just finished When the Day Breaks when we started working on this and we wanted to use the computer more because we were just getting literate with it, so we thought we’d use a style that would be computer friendly and it would go faster. And we mucked around with different techniques in the computer and just never found anything that was truly satisfying to us. We decided to go back to real paint because we like the accidents that are created; there are all these unintended things that happen with painting that make them interesting and it’s harder to achieve that with the computer because you have to plan everything. For the style itself, we wanted a folksy naive thing: opaque, colorful. It was rather a long process because we would animate in Flash and then print them out and paint them and then hand them in and, in some cases, cut them out and place them in a different background. It was a pretty arduous process and I don’t know if we’d work that way again. 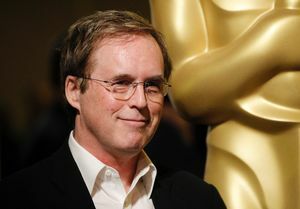 Last night the Oscar-nominated shorts for both animation and live action were celebrated at the Samuel Goldwyn Theater, hosted by Brad Bird, who has significantly crossed over with his blockbuster Mission: Impossible Ghost Protocol (which hits Blu-ray April 17 from Paramount). In fact, there’s nothing like watching a movie at the Academy, and that merely magnifies the enjoyment of the shorts. This year’s crop looked particularly stunning, especially The Fantastic Flying Books of Mr. Morris Lessmore, La Luna, and Wild Life. Joyce was joined by co-director and Moonbot Studios co-founder Brandon Oldenburg; La Luna’s Enrico Casarosa from Pixar; A Morning Stroll’s Grant Orchard; Dimanche/Sunday’s Patrick Doyon; and Wild Life’s Amanda Forbis and Wendy Tilby, who proclaimed that government financing in Canada gives you a better chance at realizing your filmmaking dreams. However, Orchard’s bizarre zombie apocalypse at the end of A Morning Stroll caught Brad’s attention. He said the whole existential preoccupation with the chicken was pure animation and that the zombie was the perfect metaphor. Given Joyce and Oldenburg’s great success with turning Morris Lessmore into an Apple app — which Bird wanted to learn more about — he joked that Orchard should turn his zombie into an app as well. Meanwhile, Academy governor Jon Bloom announced that all 10 shorts nominees were released yesterday on iTunes in 56 countries while playing in 138 theaters and VOD, which is unprecedented. “We have grossed through yesterday over a million dollars,” Bloom said, and then predicted that it would hit a historic $1.7 million. Artists using Autodesk’s Digital Entertainment Creation (DEC) software had a hand in many of this year’s Academy Award-nominated films. 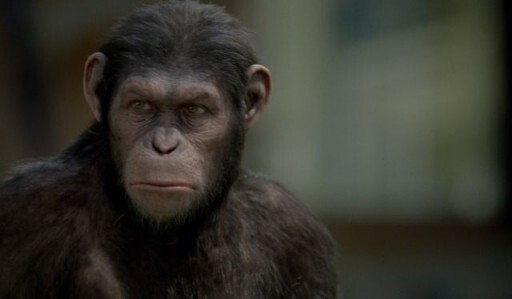 “Rise of the Planet of the Apes” — Caesar, the CG chimpanzee performed by Andy Serkis is a creative milestone for Weta Digital in New Zealand. Weta used Maya and MotionBuilder as the core of its creative production pipelines for its groundbreaking visual effects and performance capture. Sebastian Sylwan, chief technology officer at Weta said, “Creating a believable and realistic CG character like Caesar required providing our artists with the right tools and innovative technology that allowed them to iterate and express their creativity. We developed our own software to perfect performance capture, hair, eyes and muscles amongst others, using Maya and MotionBuilder as a backbone.” Canada-based Image Engine contributed previsualization for the film and also took advantage of a Maya-based pipeline. · “The Fantastic Flying Books of Mr. Morris Lessmore” — nominated for Short Film (animated) — Moonbot Studios in Louisiana used Maya to help create this poignant and humorous allegorical film. · “The Girl With the Dragon Tattoo” – nominated for five awards – Digital Domain created digital doubles, matte paintings, animation and set extensions using both Maya and 3ds Max. Method Studios contributed to 101 VFX shots, including a fully CG train sequence through a snow-covered landscape using Maya, Flame and Autodesk Flare software. Blur Studios created the amazing title sequence using a combination of 3ds Max for animation and Autodesk Softimage for keyframing. · “La Luna” — nominated for Short Film (animated) – Pixar used Maya and Pixar’s own Renderman to create this mystical coming-of-age story. · “The Muppets” – nominated for Original Song – LOOK Effects used a combination of Flame, Flare and Maya to help bring these beloved characters to life in this box-office hit. · “The Tree of Life” – nominated for three awards including Best Picture — Method Studios used Maya to help create the fully CG 4K (4096 × 3112 pixels per frame) sequence for the film’s “Microbial” section, which plays effectively alongside practical and mixed-technique approaches. Method’s EVP Dan Glass was also the film’s overall senior visual effects supervisor. Prime Focus used Maya, 3ds Max and Mudbox to create the wonderfully realistic dinosaur sequences, dedicating a team of 50 artists to achieving Terrence Malick’s vision for these scenes. · “War Horse” – nominated for six awards including Best Picture — UK-based Framestore used Maya to help create the equine digital double, barbwire VFX integration, digital environments and clean-up on 200 shots for Steven Spielberg’s epic drama. 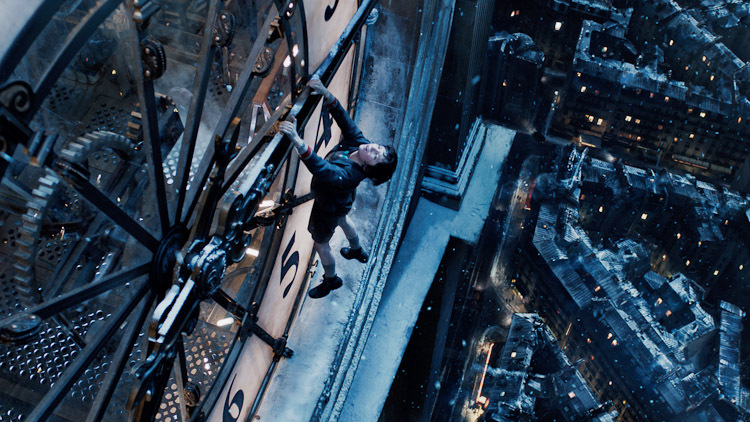 Hollywood and London-based The Third Floor also previsualized key sequences using a toolset that includes Maya. 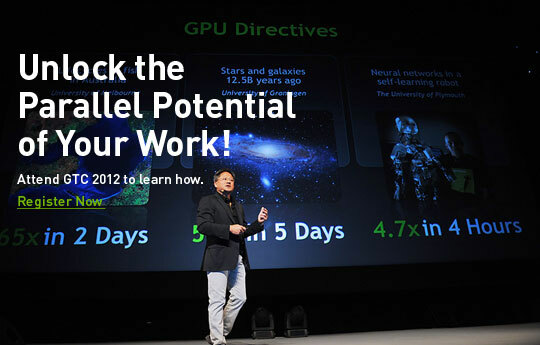 NVIDIA’s third GPU Technology Conference, GTC 2012, will be held in San Jose, May 14-17. It is the flagship in NVIDIA’s global series of events focused on how the GPU is transforming science. It is expected to draw the greatest minds in the scientific, engineering, research, and developer communities from more than 40 nations.